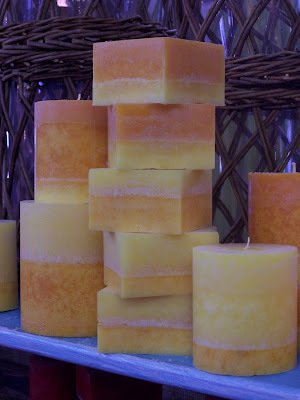 Wildflower Wax Candle Studio: Choose nostalgia,pineapple mango candles and Izze! Choose nostalgia,pineapple mango candles and Izze! New t-shirts are in by a company called CHOOSEY CHICKS! It's fun just saying their name!There company is all about making positive choices....Choose love, peace, your legacy,etc..etc...and my favorite as you can see Choose Nostalgia! Scent of the Month.....Pineapple Mango! Just the right blend to finish off the summer months... Remember their is a special discount on our monthly scents, this one good through August, so hurry up!!! 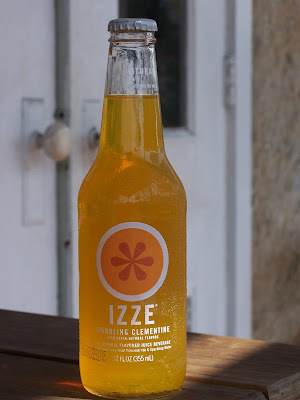 my favorite summertime drink...Izze clementine, but don't forget the white wine, big glass and some ice cubes. Jennifer, you are just the cutest thing! LOVE the t-will have to come and check them out! Hi Jennifer! It was great to meet you and Dave on Saturday! I love your store and my new Hot Cocoa candle! I am completely amazed at how wonderful and lasting the scent is! Also, I am in the market for a pair of boots size 8.5 ish. I'm sure I will be back to Wildflower Wax very soon! Thanks!